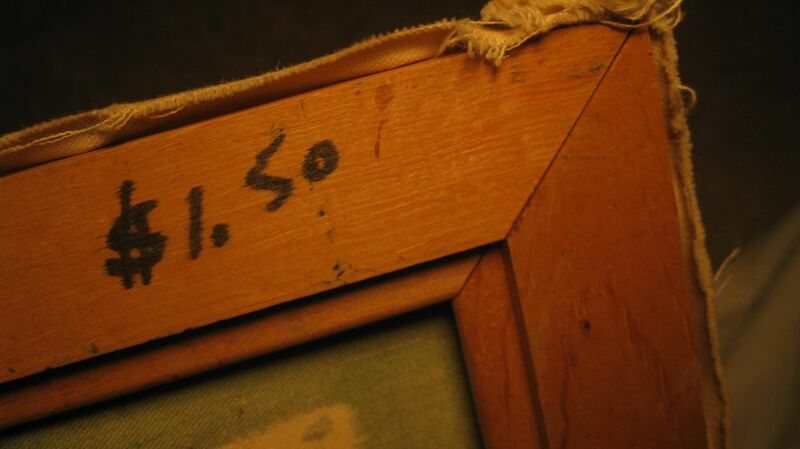 Look beyond the faded prints at second hand sources. It's the frame, the glass, and the mat that's worth upcycling. Yes, I am wearing a tape measure. I hear you if you are staging your home for sale, and money is tight. You’re planning to move. That costs. 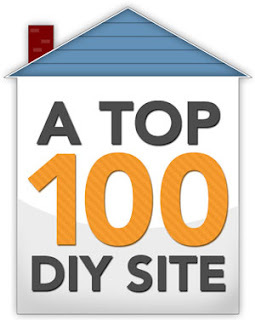 You’ve made repairs and updates to your home. That costs. You may have bills from painters, carpet cleaners, electricians, carpenters and a storage company. I’m not here to ask you to spend more to decorate your walls. 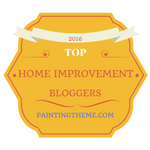 I’m here to make suggestions for where you can find art that is inexpensive but will still make your home look great. If you have to narrow your search for suitable art for staging, visit your local thrift stores and start hitting those yard sales. There’s always a selection of framed art at every thrift store. 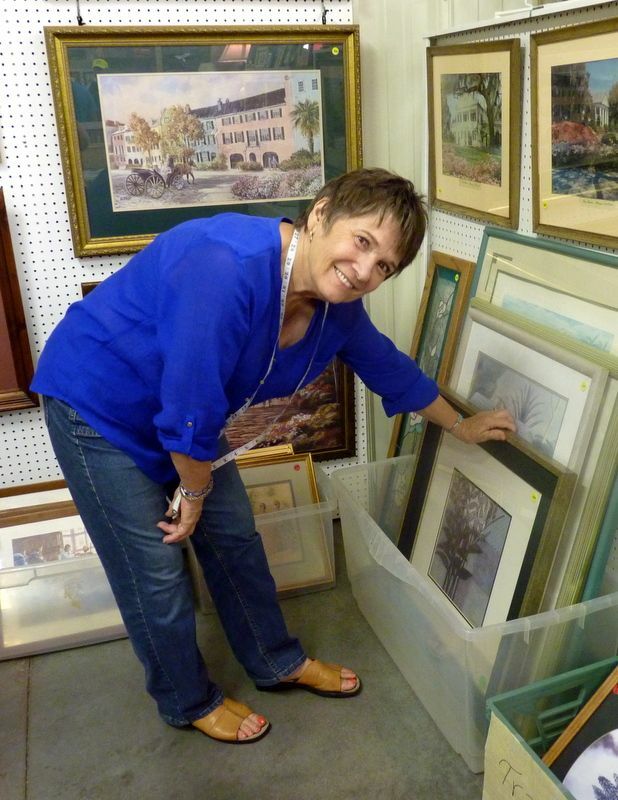 You’ll find outstanding art bargains at fundraiser sales hosted by groups like Knights of Columbus, churches, pet rescue organizations, and other charities. Whatever these organizations are selling they received as free donations, so the pricing reflects that the owner has already surrendered it, which is a different scenario from a garage sale where a seller might have an inflated sense of worth in his “discards,” and even be prepared to take them back inside at the end of the day rather than accept a low price. Yes, much of what is sold in these outlets and events is ugly, faded, stained or dated. But the price is right and if you know what to look for (more on that in the days ahead) you can stage stylishly on a shoestring using art. the stretches alone are worth much more than $1.50 . Art.com is a large and popular online destination for reproduction art shoppers. You can search by subject, size, style, price, colors, artist and whether you want it framed or not. The selection can’t be beat and the prices are fair. An artsy 18 x 24-inch black and white photograph can sell for $33. And a 30 x 40-inch vintage travel poster sells for $45. 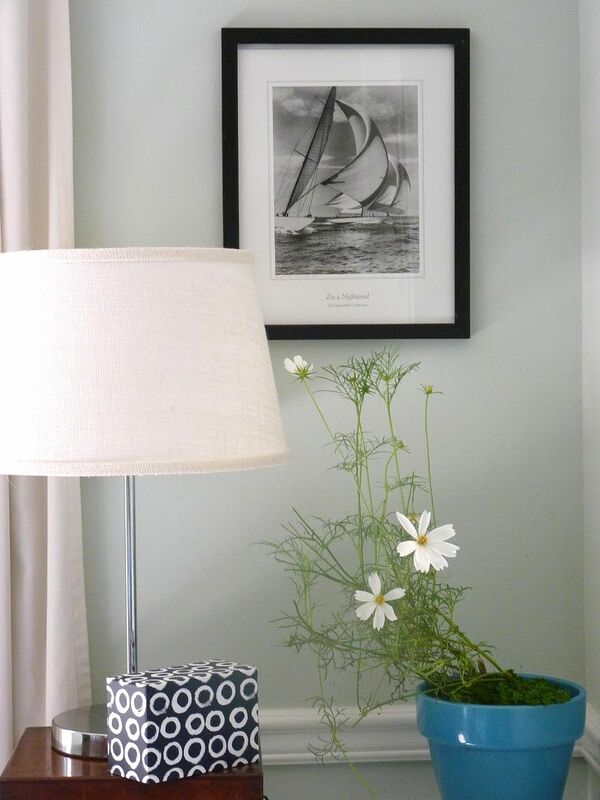 Black and white photographs are always tasteful in a staged home. unframed and frame them myself. It's not difficult. Did you know that your local library can be a place to borrow framed paintings? Even small town libraries often have a selection of reproductions that you can take home for a month or more. 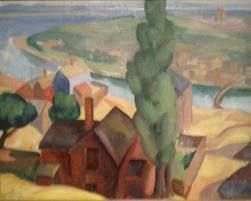 You won’t have a valuable masterpiece, and you can’t keep it forever, but you might go home with a reproduction of a beautiful 18th century landscape painting, or a print of a cubist still life, all ready for hanging in your staged home. pleasant scene that would help the style of a staged room. Have you ever visited a friend or relative and admired the painting over the fireplace or the framed prints in their hallway? Would you consider asking if you could borrow art from a good friend or family member? Chances of art being damaged or stolen are so slight, that the possibility is good you can find friends cooperative. It’s only temporary. I can’t recommend this for any art that is really valuable, but it certainly beats buying art just for staging. If you're really lucky you have a friend who is an artist or gallery owner. Most artists store pieces of their own finished art. Perhaps your friend would love to have an audience for his (signed) artwork? Often the best buys are right under your nose. You might be able to revamp what you already have (more on this in the coming days.) 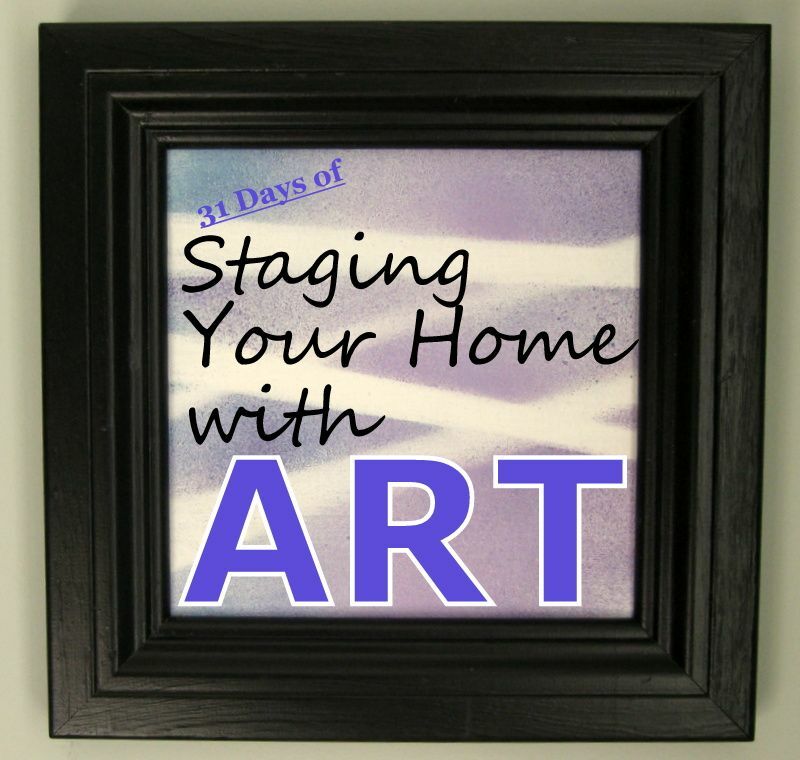 Did you know that you can temporarily convert framed art you love into something “stage-worthy” just with simple supplies you have in your home already? Stay tuned. With so many places to find affordable art, there’s no reason to have bare walls or walls decorated with stuff that doesn’t add to your home’s perceived value.